States antagonistic to Lithuania often employ the strategy of “divide and conquer” to foment division within the country and between it and its allies. Below, Dr. Viktor Denisenko, Assistant at the Political Communications Department at the Vilnius University Communications School sheds light on what the tools are used to exert informational pressure and to divide Lithuanian and Polish societies, as well as on how to best search for common ground between the two nations. According to Dr. Viktor Denisenko, ethnic communities are popular target for informational attacks because of how vulnerable many of them are. “To foment discord, narratives that inflate social problems or that compare historical grievances to present day issues; these narratives deliberately present tendentious or misleading interpretations of ongoing issues. In Lithuania, these activities have a common goal – to create conflict and to strengthen those who are not loyal to the state in which they live,” claims Dr. Denisenko. Dr. Denisenko emphasizes that the key to building resilience against such propaganda narratives is to deepen ethnic minority integration and to strengthen their culture inside the country. “Ethnic minorities cannot avoid the propaganda content, because they often consume information spread directly by the Kremlin or through the Kremlin-controlled TV channels. This year saw an important step to build resilience to propaganda – residents in Southeast Lithuania gained free access to 5 Polish TV channels. To counter propaganda, it is necessary to foster the ethnic minority culture, to separate it from the context that the Kremlin provides,” notes Dr. Denisenko. 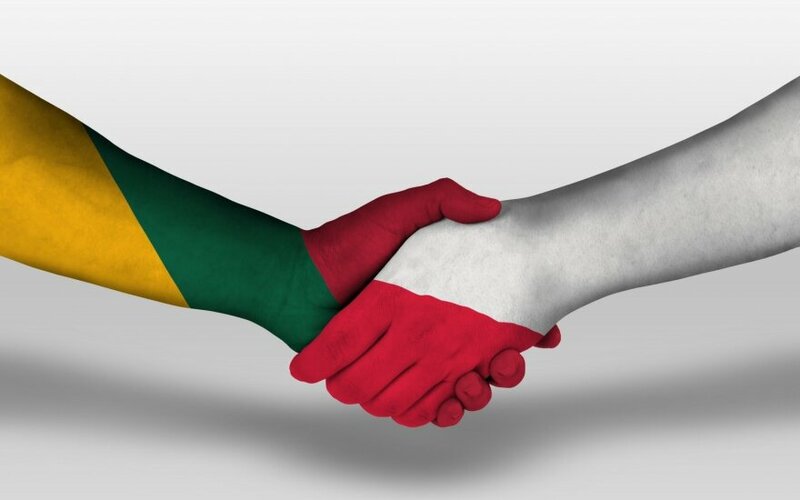 The representative of the Political Communications Department at Vilnius University claims that, to resist the ongoing effort to divide Lithuania and Poland, it is necessary to remember that conflict between the two states is only beneficial to our shared enemy. Because of this, we should search in our common history for what unites the two countries, rather than what separates them. “The 20th century conflicts between Lithuania and Poland are widely remembered, despite the fact that they constitute only a minor episode in the shared history of the two countries. One cannot forget that Lithuania and Poland stood together throughout most of their history, achieved their greatest military victories together. The history of the Grand Duchy of Lithuania should become an example of how ethnic communities have always been important members of society, how they have defended our state and its interests. Today, members of our ethnic communities are equal participants in the modern Lithuanian state and create it together with ethnic Lithuanians, assuming responsibility for the welfare and the security of the state in which they live and raise their children,” claims Dr. Denisenko. When, on August 14, 1385, Lithuania and Poland agreed on the marriage between Jogaila and the heiress to Jadwyg, the heiress to the Polish throne and the daughter of the Hungarian and Polish king Ludwig the Great, Jogaila became the king of Poland and enjoined Lithuania and Poland under his rule. For Lithuania, this union helped defeat the state’s greatest enemy – the Teutonic order. The cooperation between Lithuania and Poland against the Teutonic knights culminated in the victory against the Order in the Battle of Grunwald in 1410. In 1500, Russia dealt a significant blow to Lithuania by occupying almost a third of its territory. To get help during the 1500-1503 war against Russia, Lithuania agreed to renew the union between Poland and Lithuania (as a consequence, the two states signed the Union of Lublin). The Livonian war, which took place between 1558 and 1583, ended in one of the most significant victories for the Polish-Lithuanian Commonwealth. After the Poles joined the war, the joint effort was sufficient to stop the Russian invasion into Europe. In the mid-17th century, Turkey directed its expansion towards the North, aiming to conquer Hungary and Ukraine. Such plans inevitably affected the interests of the Polish-Lithuanian Commonwealth. At the Battle of Khotyn in 1673, the joint forces of Poland and Lithuania defeated the Turkish military and stopped its expansion northwards. 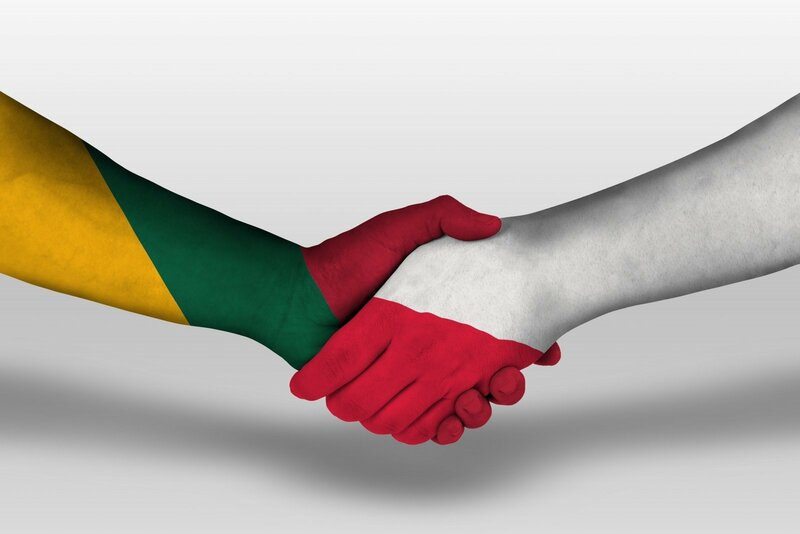 The partnership between Lithuania and Poland, dating all the way back to the days of the Grand Duchy of Lithuania, remains strong and successful to this day. The two states closely cooperate on matters related to the European Union or NATO, as well as are implementing several joint strategic projects in energy infrastructure.